For all of the longevity of the 'special relationship', how often do the UK and the US combine to produce something really ... special? There is one instance, at least - the mighty AC Cobra! When Texan Carroll Shelby sought permission from England's AC Cars - to sling a Ford V8 into their bodywork - the curtain was about to be raised on a truly memorable 'muscle car'. The Cobra's sinuous lines were clearly drawn from the AC Ace. The 'Ace' was an elegant British sports car of the time. But the Cobra's 'beefcake' build was boldly all-American! Shelby was a successful racing driver. When it came to the Ace, he wanted power - and plenty of it! The Ford engine obliged to the tune of 490 wild horses - in 7-litre form. Added to that were AC's light alloy shell - and torque on tap from the push-rod V-8. There were disc brakes all round to slow the plot down. The scene was set for big fun, in a big country! The cars were sold in the showrooms as Shelby Cobras, and Ford Cobras. In race trim, they were Shelby American Cobras. There were just 1,000 or so Cobras built. Their legacy, though, will live on - for as long as men like Carroll Shelby feel compelled to compete. 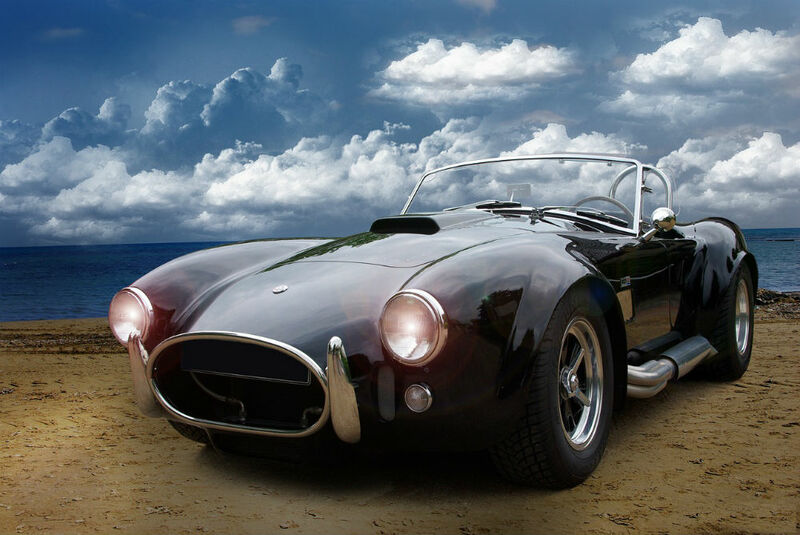 Presidential, in terms of presence, the AC Cobra is a truly historic car!